Strong 3-5 mph current out to 450. 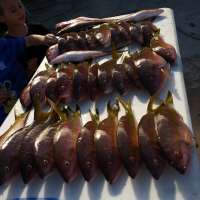 Fished south to 450 around 9 and still found weed lines and patches so lots of bait clearing. Water was dark, not bright blue even with the current. some birds working, lots of beautiful weed lines. some fish schooling but I hooked nothing in 3 hours. 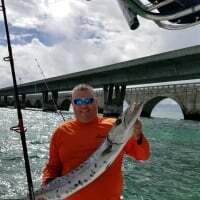 Circled back to 100 feet off LW pier and know others who hooked kings there early, I could not even hook a bonita today. Calm august day and weed was less scattered than last week and held bait and shrimp but not my day. You are not the only one. My friend went out of Boca today with not much luck either. It looks like you had more weed off Boynton though. Thanks for the report. Better luck next time! to 39 line not a knockdown.